If you invest in real estate, you probably already know that you have a number of different options when it comes to your financing. These include but are not limited to portfolio lenders, home equity loans, commercial loans, conventional mortgages, owner financing, hard money, and more. Utilizing these options are often an important key to the success or failure of a deal. One option that is often overlooked is real estate lines of credit. It doesn't matter whether you invest in commercial real estate, apartments, single family homes, or others, a real estate line of credit can be enormously helpful in giving you real cash when you need it. With a real estate line of credit, you can often apply for and receive the cash and credit you desire within a very short period of time. And thanks to the competitive nature of today's financial world, banks and other institutions are offering deals to get you through the doors. In fact, some institutions are promoting the fact that they can finance a real estate deal in a matter of days after you apply for the money. Many real estate investors use the equity they have in their home to finance their purchase. Unfortunately, an equity loan is secured by your home, and if you default on the loan the lenders can attach a lien on that home. Although this is normally fine as far as it goes, real estate lines of credit are actually better by offering a number of different advantages. First, a real estate credit line requires no collateral, appraisals, tax returns, or other financial statements. There are also no restrictions on how the cash can be used. The only qualifier is your personal credit report and your credit rating. Once you receive a real estate line of credit, you can use it to purchase real estate, whether your intent is to rehab and flip it. 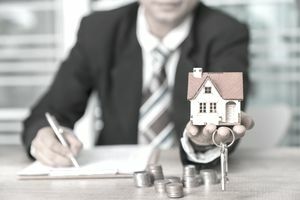 Ultimately, with real estate lines of credit, the real estate investor can use it to become part of more deals that he may wish to take part in. This will, of course, increase his bottom line on each property. Once a real estate investor has received a real estate line of credit, he can draw on and make payments on his lines as many times as he wishes. As a result, once you have a real estate line of credit, you can invest and flip many properties with the same line of credit. This can save you considerable costs that are normally associated with using hard money lenders that not only charge you interest but also "upfront costs." The best news in real estate lines of credit is in giving investors access to ready cash in order to execute deals they wish to be involved in. It doesn't take a real estate tycoon to know that today's economy is making a large number of excellent real estate investment opportunities available to practically anyone who wants to be involved. As a result, these opportunities are available to anyone with ready cash, precisely why having a real estate line of credit available is ideal. This flexibility allows investors to optimize their real estate investment strategy. Another important benefit of real estate lines of credit is the ability it gives investors to purchase virtually any type of real estate instead of being tied to one particular type. In addition to this, investors can use other types of investment funding along with business credit lines to fund property investments. Having a readily available amount of cash for an investment in real estate is a tremendous asset in an equitable investing strategy. This is, of course, is just one method in an arsenal of financing tools that can be used, but it's an important one. It is important to understand that financial institutions differ greatly, so you should consult with your lender to see what they offer. You should also consider consulting with an attorney and/or an accountant or another financial advisor so that you understand all of the financial and legal consequences of your situation. Fortunately, real estate lines of credit can be very worth the effort.